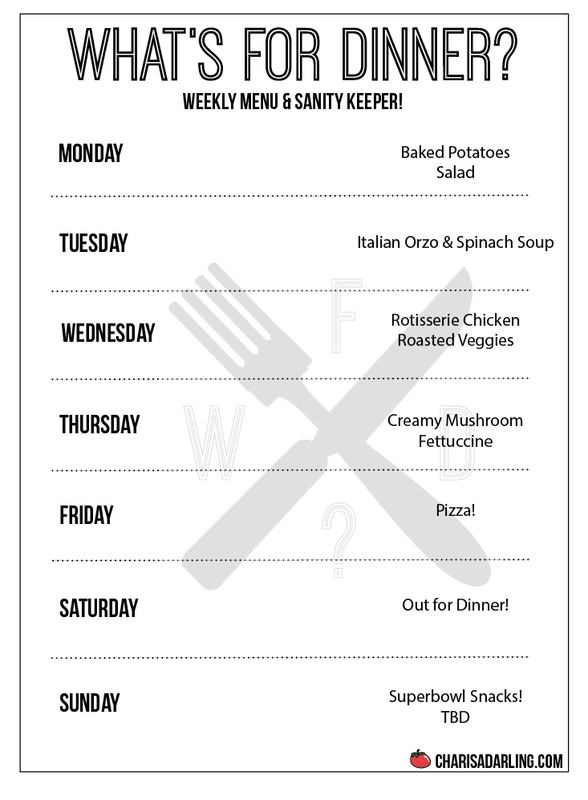 Plans changed and we didn't have salad and baked potatoes last Monday, so they're back in rotation for this Monday. Soup on Tuesday and I'm trying a new recipe - Italian Orzo Spinach soup. Hope it's good! 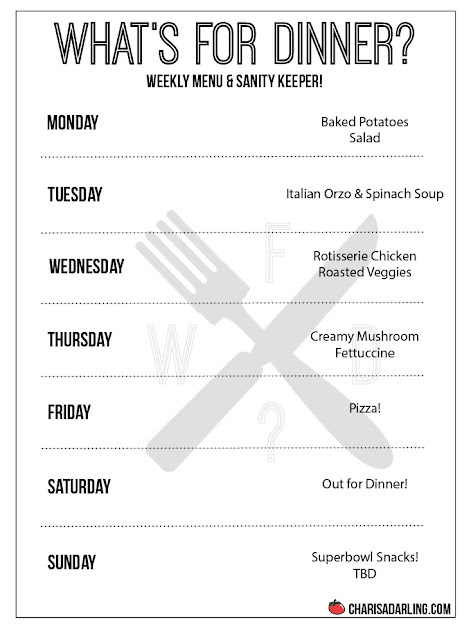 I'll pick up a rotisserie chicken for a quick dinner on Wednesday and roast some veggies to go along with. Two weeks ago, we were supposed to try this Creamy Mushroom Fettuccine, but we didn't get to it, so I'm planning on it for Thursday. Out for dinner on Saturday!